Join us for one of our weekend cycling adventures. Whether you’re craving a girls’ weekend with riding and other fun activities, a climb-fest in the mountains, or one of our overnight bike touring trips, we’ve got some great offerings on the calendar for 2019. New for 2019 is our co-ed Carmel Valley Gravel Camp! 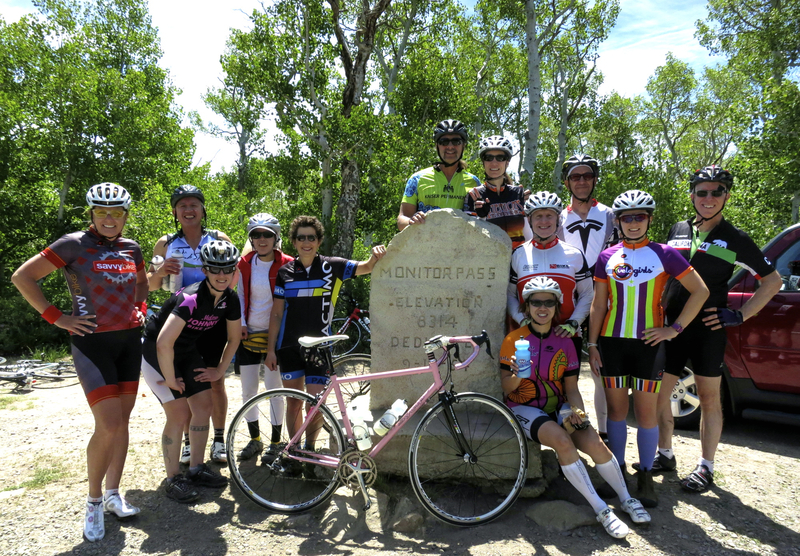 Join us for a fun, co-ed training weekend in Markleeville, CA, home of the Death Ride. This 11th annual co-ed weekend camp is designed to help prepare participants for the rigors of endurance riding at high altitude. Based in Markleeville, CA, this camp is appropriate for Death Ride participants and others who wish to gain high altitude experience. Daily mileage options range from 25 – 85 miles. Registration fee includes camping (Friday + Saturday), a Friday skills clinic, SAG on rides, cycling nutrition, Saturday breakfast, lunch, and dinner, Sunday breakfast, and lots of fun with cool folks. This camp is limited to 16 participants and sells out quickly each year, so don’t hesitate to register! Have you thought about touring on your bike but don’t know where to begin? We’ll unravel the mysteries of supported, fully-loaded, and semi-loaded touring for you. This clinic includes a two-hour seminar on the topics of equipment, bicycle choice, what to bring, how to pack, camping, cooking, safety, and choosing your route. 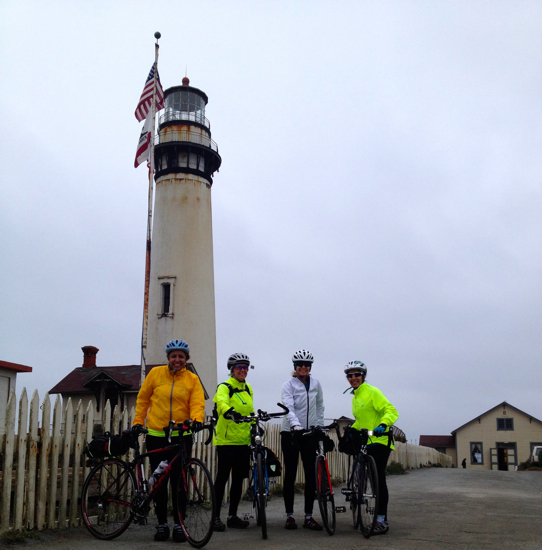 Then, we head out for a weekend of semi-loaded touring with a 50-mile hilly option or a 25-mile rolling option, both ending at Pigeon Point Lighthouse Hostel in Pescadero, where we’ll have dinner, spend the evening, soak in the hot tub, and sleep. The next day, we pack up and return to the start. This is a fully-supported event and includes ride nutrition, dinner (Saturday) and breakfast (Sunday), SAG, and your accommodations at the hostel. Jump-start your winter training with this weekend camp based in the beautiful Carmel Valley. With three days of road riding, you’ll be on your way to your best season yet! Your registration includes accommodations at the historic Los Laureles Lodge, 2 dinners (Friday and Saturday), 2 breakfasts (Saturday and Sunday), 2 lunches (Saturday and Sunday) as well as coached rides, SAG support, educational seminars, and a relaxing afternoon at Refuge (hydro-thermal spa). Similar to Bike Touring 101, Bike Camping 101 is designed to teach you how to being Bike Camping. The focus is on camping with some off-road riding, too. We’ll teach you how to pack, how to prep your bike, and what gear you’ll need for an overnight camping trip. This clinic includes a two-hour seminar on the topics of equipment, bicycle choice, what to bring, how to pack, camping, cooking, safety, and choosing your route. Then, we head out for a weekend of bike camping (route & destination TBA). The next day, we pack up and return to the start. This is a fully-supported event and includes ride nutrition, dinner (Saturday) and breakfast (Sunday), SAG, and your camping registration. Similar to our Bike Touring 101 trip, Bike Touring 201 is a great way to learn how to tour by bike, with a bit more challenging route. This clinic includes a two-hour seminar on the topics of equipment, bicycle choice, what to bring, how to pack, camping, cooking, safety, and choosing your route. Then, we head out for a weekend of semi-loaded touring with a 50-mile moderately hilly route, starting in San Francisco and ending at Pt. Reyes Hoste, where we’ll have dinner, spend the evening, and sleep. The next day, we’ll have breakfast, pack up and return to San Francisco. This is a fully-supported event and includes ride nutrition, dinner (Saturday) and breakfast (Sunday), SAG, and your accommodations at the hostel. Join us for a weekend of road cycling, wine tasting, and fun in the beautiful Central Coast of California. Details soon! Join us for a weekend of road cycling, outdoor adventure, and fun at beautiful Lake Tahoe. Details soon!